One of the most affluent districts in the Lower Mainland, located on the northwest shore of the city of Vancouver. The District was incorporated in 1912, after separating from the district of North Vancouver. 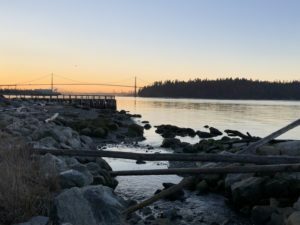 At the time, most of the existing dwellings were built in the British Pacific Properties development, controlled by the Guinness family and who were then instrumental in the building of the Lions Gate Bridge in 1937, connecting Stanley Park to the North Shore. 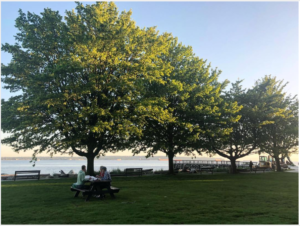 West Vancouver residents can enjoy late night strolls along the Ambleside Seawalk, day trips along the coast and around the shoreline, or hiking up a mountain trail. West Vancouver is rich in it’s recreational activities and includes unique areas of luxury real estate and gorgeous waterfront view homes. Local Shopping districts include the fashionable Park Royal Shopping Centre, Ambleside and Dundarave Villages, as well as Caulfeild Shopping Centre. Whether it be for business or pleasure, West Vancouver offers the best of both worlds to it’s residents, respite from the city but with Downtown city life just minutes away.